He waits. 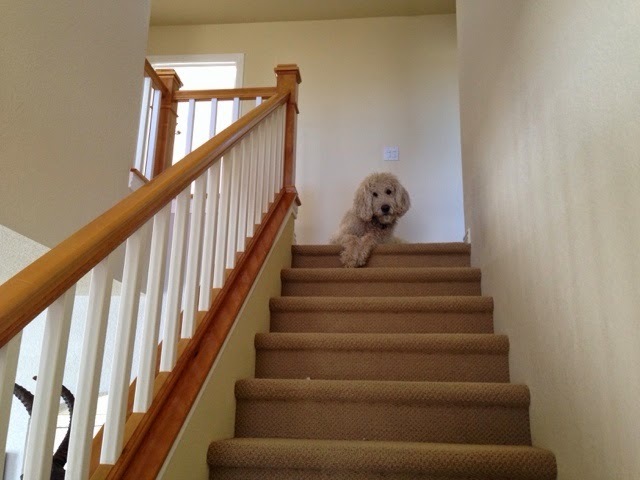 If one of us is upstairs and one downstairs, he waits between the two. Often it's here, at the top of our stairs, until we're together in the same place. He is always worried he is going to miss something, otherwise.